Earlier this year, my book was translated into a Chinese edition. It actually has sold extremely well. 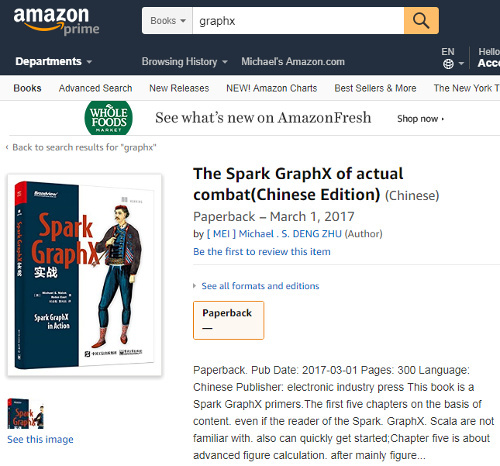 I just noticed that Amazon has a product page for it, and they've given it the title The Spark GraphX of actual combat (Chinese Edition). My hunch is that's what one gets if one translates "Spark GraphX in Action" into Chinese and then back into English.